Incredibly light, yet tough enough to stand up to just about anything, Carbon Fiber has become the preferred reinforced polymer for all types of industries, from automotive to aerospace. 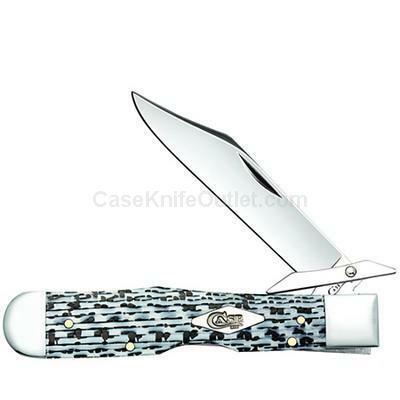 Case brings Black & White Carbon Fiber to pocketknives complete with mirror-polished Tru-SharpTM surgical steel blades that you can count on. Made in the USA. Store Hours: 8:00AM to 5:00PM Central Mon-Fri.